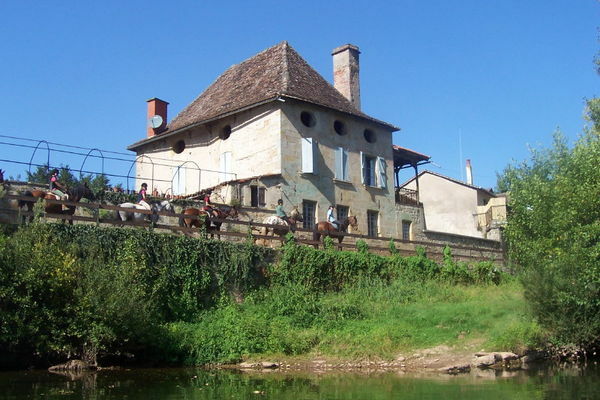 Beside the river Lot and 3 kms from the Santiago Pilgrim Way, here you'll be close to Figeac, Town of Art and History (birthplace of Champollion). Stay in this 17th C. residence, with a family room on the first floor opening on to a wooden balcony overlooking the river. Maryse's cooking, Serge's advice on places to visit and Axel's equestrian farm will make sure your stay is unforgettable !